CallPage is a system which can be installed on every website. CallPage algorithms analyze behaviors of users on your website (time spent and frequency of visits). When the system discovers a potential client, it displays a pop-up window offering a free call from customer service in your company. CallPage transfers the user's phone number to you in just 28 seconds and makes an anonymous user a real person whom you can talk to and sell your service. 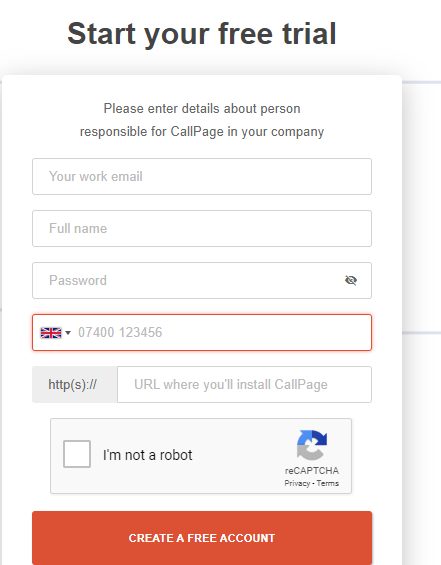 In order to install CallPage on your website o to CallPage register page. Enter your personal details and "Create a free account". Enter a verification code you get by text and press verify. 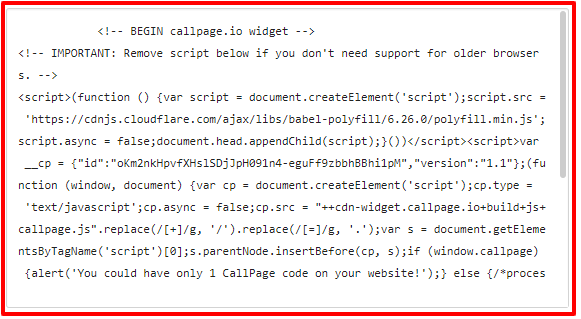 Copy generated HTML code and paste it to HTML element on your website in WebWave. If you don't know what HTML element is read this tutorial. Publish your website and check if the code has been successfully installed. After successful verification, go to the next step. Add to the system additional consultants or if you want to contact clients on your own skip this step. Adjust the widget's language, style, alignment and save. It's done! Congratulations! From now on, users will be able to contact you directly from your website!